Mark Tahbo was well known for his marvelous and “simple” plainware pottery. 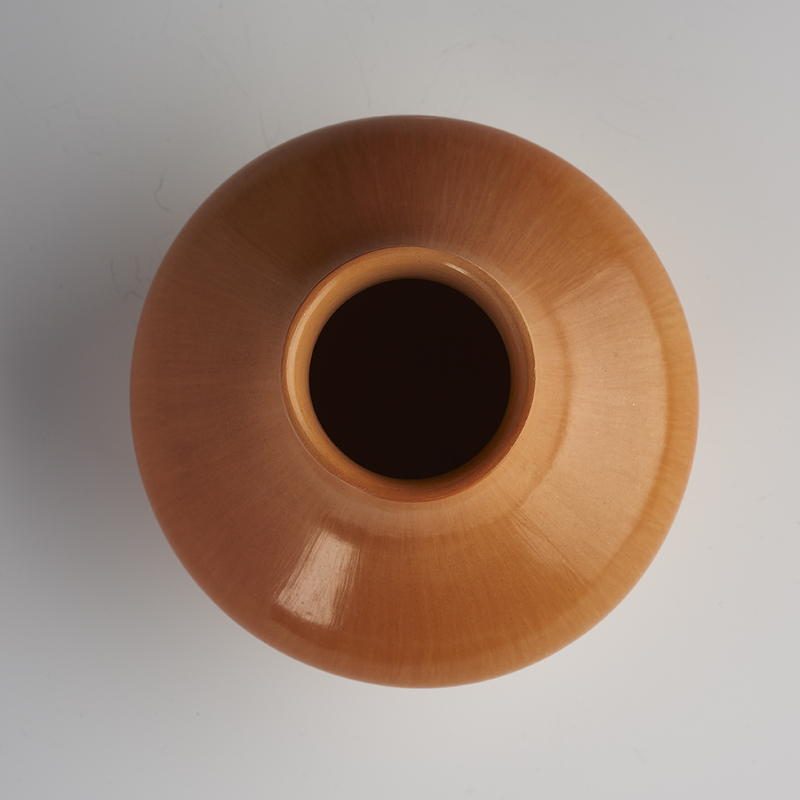 Made in 1998, this plainware vase is a terrific example of Mark’s most elegant work. 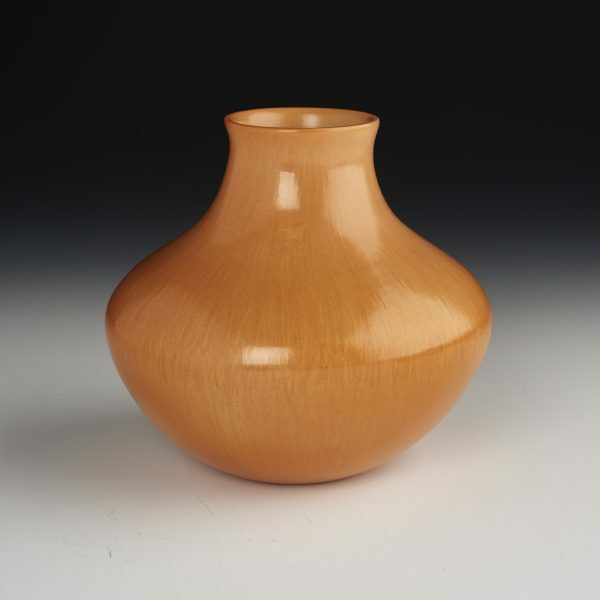 Leaving the vase pure and unpainted, he was allowing the form and shape to speak for itself. 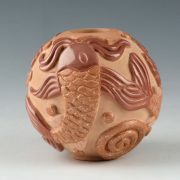 The golden orange hue he achieved in the firing makes it even more gorgeous. 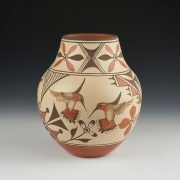 Mark was always so proud of the way he could have special blushes on his pots as they came out of the firing. These pieces were always considered such a wonderful achievement.